Traveling to Nairobi? What you must Know. Most people that travel to Nairobi don’t stay in the city very long. Most are en route to an African Safari and only stay in the city for a few days. 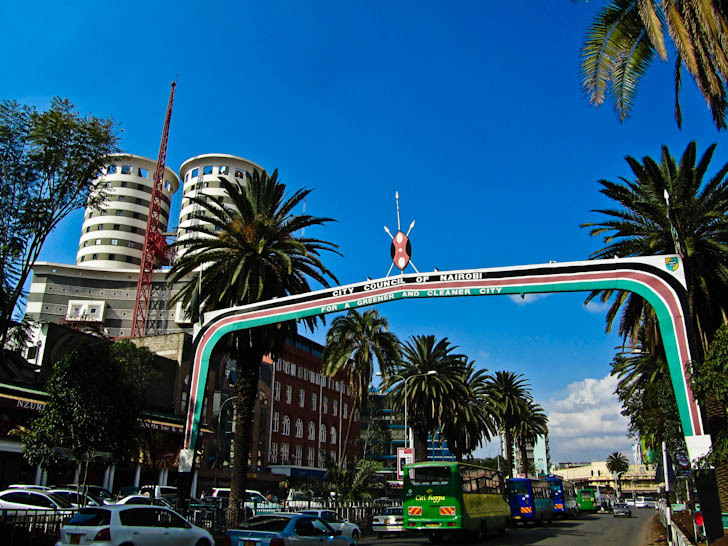 The absolute truth is that there are tons of very unique things to do in Nairobi. The city is commonly known as Nai-robbery due to its past but I can tell you personally after living in the city of Nairobi that the city isn’t as dangerous as it used to be. The only tourist souvenirs that you should buy are at markets that are throughout the city. Here you will have the most bargaining power and won’t be overcharged. You will be able to buy everything they are selling in any of the markets in the city. Try to go to the Maasai market in the KICC parking lot on Saturdays and Sundays. You will find the best deals there. Be aware that there are plenty of hustlers in the market. I will updating a post on how to negotiate price with Kenyans soon. As stated above, Nairobi isn’t anywhere near as dangerous as it used to be. This doesn’t mean that you should let your guard down. It is a 3rd world country and you should treat it as such. Try not to look like you are lost and always walk like you are on a mission. If you need to ask for directions it’s fine, I have done it plenty of times. Just don’t sit there and look like you are completely lost. That’s asking for trouble. Always keep your purses in front of you with your arm over them. If you are riding public transport (buses or matatus) make sure to keep your hands on top of your pockets at all times (not in your pockets on top of your pockets). Don’t let anyone distract you and never let go of your stuff. US Dollars are the preferred method of exchange in Kenya. They don’t discriminate in the country and will accept other forms of money but the US Dollar is preferred. Do not bring any small bills, always bring $50 and $100 bills. The bigger the better in Kenya. If you try to exchange smaller bills you will get a very bad rate. I have a strong stomach so I drink tap water in any major city I go to. The water inside the city is okay to drink but do not drink the water outside the city. The water in Nairobi is processed while water outside the city limits is just boar hole water and is not processed. What Do People in Nairobi Wear? Standard western wear is fine. I have seen that most people wear pants & jeans but shorts are okay. It really doesn’t matter what you wear here since you will stick out, especially if you are white. I would recommend women not to revealing when they go to the city. Try not to wear very high shorts or tang tops. Women will hear plenty of cat calls (especially blondes) so don’t be surprised if you receive plenty of attention. The more conservative you dress the better. There is not place in the world (other than North Korea) that is as internet illiterate as Africa. Only now is when Africa is starting to receive significant investment in underwater fiber optic cables to improve internet speeds. Since many of the hostels charge for internet in Africa look for a typical cafe, specifically Java. I have experienced that the internet at the cafes are faster than at cybers (internet cafes). About Kenya. What you need to know.